I received tickets from Feld Media in exchange for posting about Disney on Ice Dare to Dream. All opinions are my own. 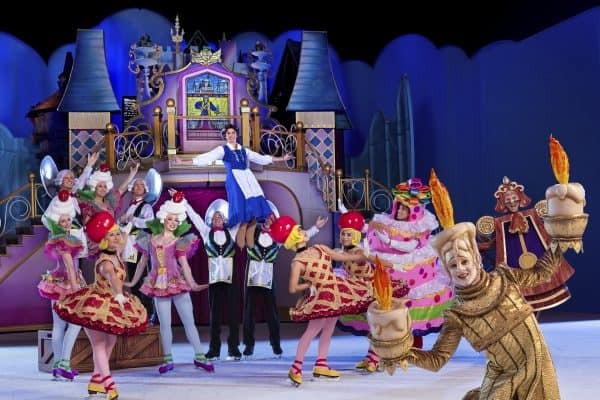 Do you have your tickets for the new Disney on Ice Dare to Dream show? We went on opening night and it’s worth the trip! Having been to several of the Disney on Ice shows over the years (our first was at least eight years ago) I can say this is our new favorite! Why? The entire show is a step up from previous seasons. 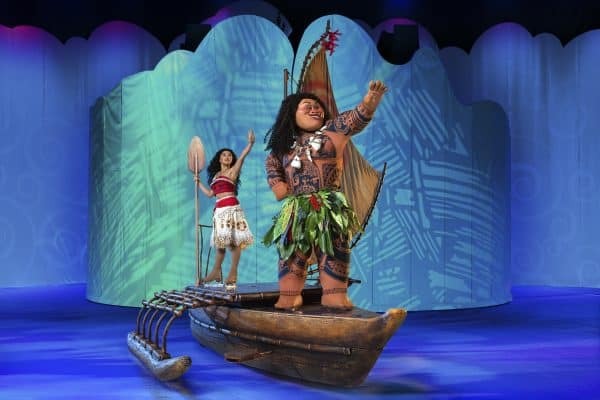 New to Disney on Ice Dare to Dream is the story of Moana. This is the first time she’s been featured in a show and they saved her story until the end. For those with younger kids this means staying late if you want to see Moana. Spoiler: Pua is unfortunately absent from the show. 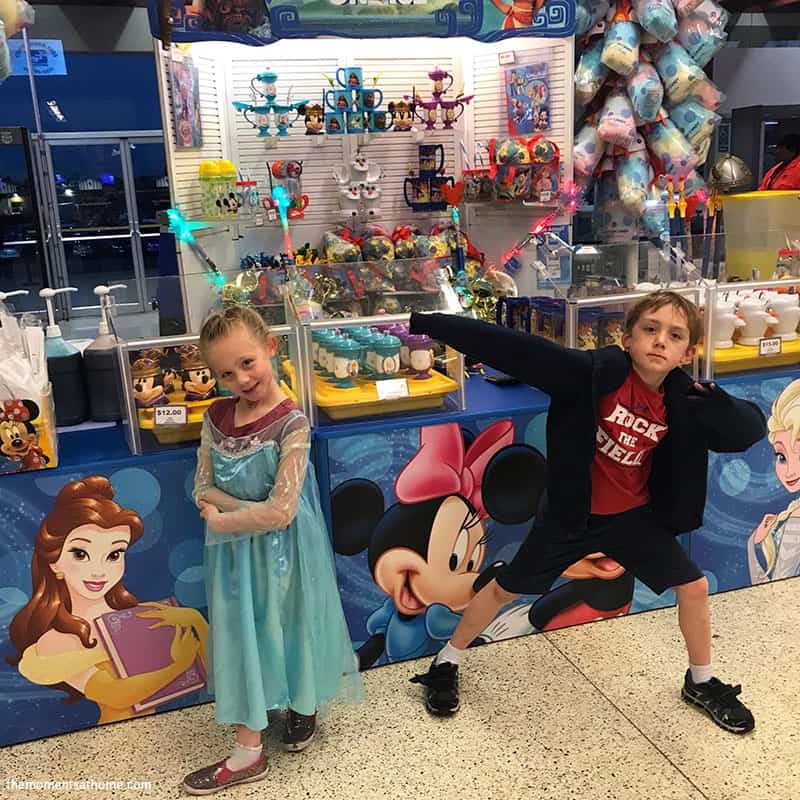 Disney on Ice keeps characters in their show for several seasons and many of you may have seen Elsa and Anna more than once through the years. I was prepping myself for a chunk of the show that we’ve seen at least three times but instead was surprised with new updates. Gone is the giant ice curtain surrounding Elsa while she sings her epic songs, replaced with a more simple (but no less exciting) backdrop of crystals. Yes you read right! 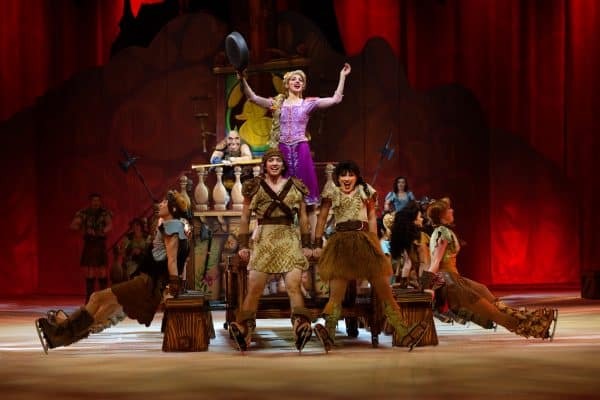 Tangled is included in Disney on Ice’s Dare to Dream! We totally didn’t expect to see my daughter’s favorite princess because the show info listed Belle, Anna, Elsa, and Moana with no mention of Rapunzel. And let me tell you, this part of the show is truly amazing! I could sit and watch just this two two hours (but then we’d miss all the other characters right?) because it is full of fun music, awesome choreography, and a special acrobatic surprise. Welcome Belle, the Beast, and their friends. Even Gaston makes an appearance. This includes more dramatic scenes in the show with a final battle between good and bad. My kids didn’t find it scary at all though. These aren’t all the characters you’ll be seeing, but I won’t spoil all the fun! Wear a light jacket. It’s chilly in the arena but not cold enough to need a heavy jacket. Plan to pay high prices for merchandise and food. Spinning toy lights and wands are sold in the lobby and in the audience before the show. Snack are available too in both areas. We usually skip the light up toys or bring our own, but do buy a couple snacks. Our favorites include the snow cone with a souvenir cup, and popcorn with a souvenir bag. Watch the end of the show as you exit. When the show ends you have tired kids climbing stairs and tugging your hand through a large crowd. Save yourself some time and stress by leaving a few minutes before the crowds. My kids usually fall asleep on the way home which makes for a quiet ride and easy bedtime routine. Bring a favorite stuffed animal and blanket to keep in the car for the ride home. I found this roundup of Moana Crafts from Crafts on Sea to do before or after you see the show!